This section describes the features of Transistors, their working and Pin identification methods. Transistor is a semi conductor device which is made as a separate electronic component or as part of integrated circuits. These are made from Silicon or Germanium material. 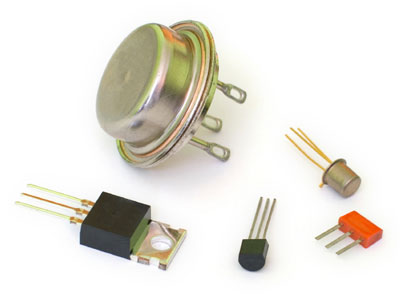 Majority of transistors are Silicon types and they can tolerate high temperature. Transistors may be Bipolar or Field effect transistor.Information for a particular transistor is shown as a code on the body of the transistor.